Ever wonder why people are placed in your life that you know had a reason behind it? Heaven is home. Who is at home? God of course, but also all the souls who have done His will. In the Church, the title of Saint refers to a person who has been formally canonized or officially recognized by the Catholic Church, and is therefore believed to be in Heaven. Sometimes the word “saint” is used to refer to Christians still sojourning here on earth. We immediately think that when a loved one dies, they definitely go straight to heaven. We can’t say that with 100% certainty. We don’t know what was in their heart. And by being in this way, we are in fact judging that soul and we are called not to do that, even though it is in a good way or for the better. We are still making a judgement that only God can make. We HOPE they are in heaven. This is why we NEVER stop praying for them. Just as the Saints never stop praying. Saints do not have power of their own, but only that granted by God. No, I do not worship the Saints, I honor them. Much in the way anyone might reflect on a relative that has passed away and casually said after a death, for example, “Oh mom, I miss you, I love you, send me some help to get through this loss”, your asking for spiritual help. This is what I do in prayer to the Saints who have gone home to our Lord. 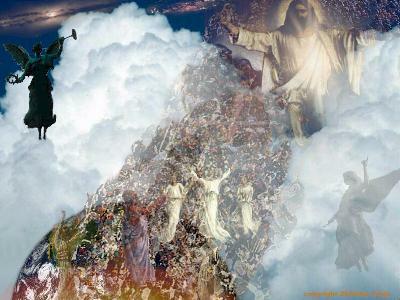 In Revelation 5:8 “And when he had taken it, the four living creatures and the twenty-four elders fell down before the Lamb. Each one had a harp and they were holding golden bowls full of incense, which are the prayers of God’s people.”. The Saints are interceding for us. They are presenting our petitions, or prayers to God on our behalf. When this takes place, be it God’s will, they are answered, therefor giving the person on earth, the grace to carry out the task asked with God’s approval, because He so willed it. We pray, they pray, God answers. This is why prayer is so important. Seeing as we are exiles, and not perfect, we can only see Him now, face to face in our neighbors faces and the grace He grants to do His will. When a prayer is answered by God, many “behind the scenes” events tend to take place. Grace comes in many forms. An action on the part of the person seeking intercession from God, due to an action be it from another person or themselves, places them into a situation needing Gods help. When the person seeks the help of God, a request via prayer is made. Either by the person that caused the condition, or the person who is effected by the condition, or who has witnessed the condition. Sometimes, it can be totally random, meaning, a person who has no idea of the condition taking place to another, but prays to God for help to those in that condition or state of being. Either way, the first prayer is made. The second part of the prayer comes in the form of the Saints hearing the cry’s for help from the “Church Militant”. Knowing that God the Father, can not look upon sin and we are a sinful people, the Saints in Heaven bring the petitions before our Lord, where God’s will is granted, or denied. We here in exile, then can see our prayers being answered in how we live and in the choices we make to either listen to Gods voice, or ignore it. By choosing to love God or love the world. When we see the hungry, do we feed them or do we mock them. When we see the homeless, to we house them or do we ignore them. When our neighbor needs help, do we help them or do we talk about them? When we see everything around us and act on God’s grace to do what is right and just, because we love Him, we are doing His will.